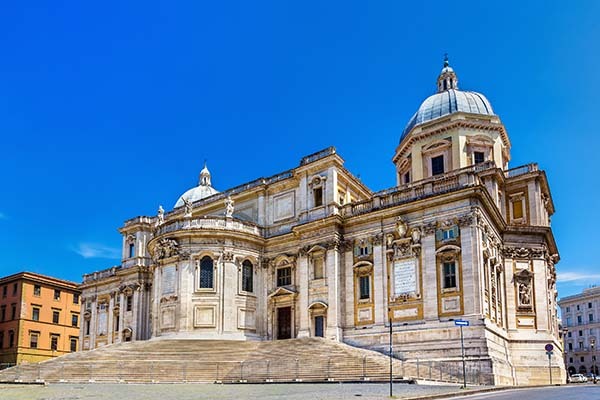 The ‘Basilica Papale di Santa Maria Maggiore’ on Esquiline Hill is the largest church dedicated to Mary in Rome, and it is one of the four papal basilicas in Rome. Dresscode Please wear appropriate clothing that covers the shoulders and knees. The ‘Basilica Papale di Santa Maria Maggiore’ is the largest (‘Maggiore’) of the eighty Mary churches in Rome. 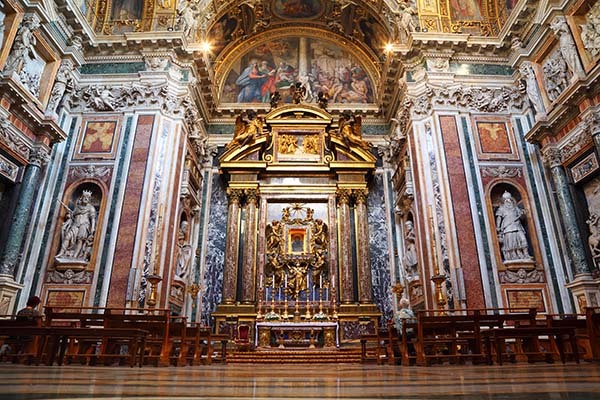 This church was built in 432 by order of pope Sixtus III on Esquiline Hill and is one of the seven pilgrim churches and one the four papal basilicas in Rome (The others are St. Peter’s Basilica, San Giovanni in Laterano and San Paolo Fuori Le Mura). The basilica was built on the site where the Virgin Mary appeared in a dream of pope Liberius. This is also where a blanket of snow appeared on the hill on 5 August in the middle of Summer. This day is commemorated every year with white flower petals that are dropped from the ceiling. Many of the mosaics in the basilica (in the nave and on the arch, for instance) were part of the original building. The large marble columns of the basilica are even older and probably came from an ancient Roman building. 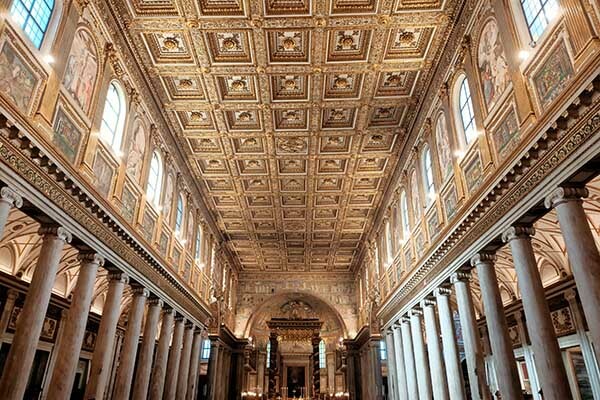 Unique in this church is the golden, coffered ceiling, commissioned by the controversial Pope Alexander VI and built with the first of the gold Columbus brought back from America. The 14th-century bell tower is also the highest bell tower in Rome at 75 metres. It is said that there are pieces of wood from Jesus' crib underneath the altar (Sacra Culla). To the left of the main entrance is the Holy Door. 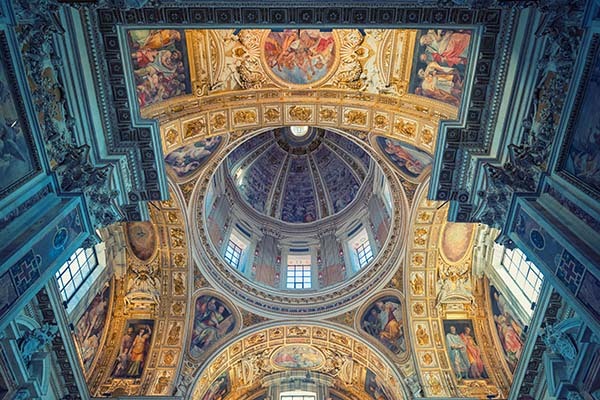 If people walk through all four holy doors of Rome in a single day during a jubilee, it is believed they earn an indulgence and are absolved of their sins. The patriarchal basilica contains the funerary monuments of Pope Clement IX, Paul V and Nicolas IV. A number of other famous Catholics are buried here as well, including the saint Jerome and the artist Gian Lorenzo Bernini. The basilica also contains a museum where you can find out more about the history of the church and view old masterpieces. 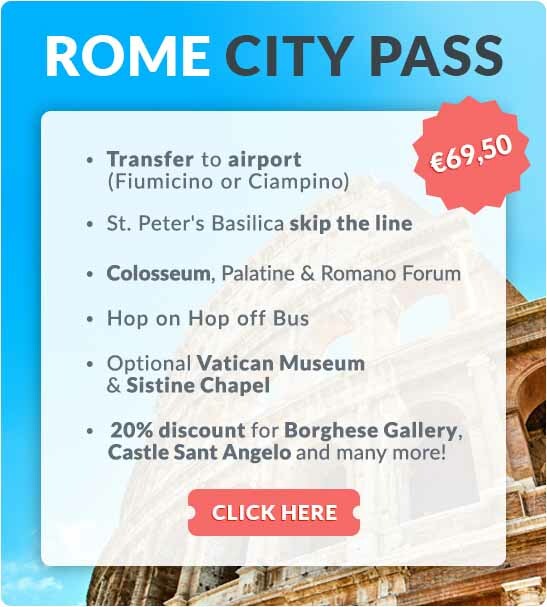 Where is the basilica located in Rome?